A Solution to ADHD and Other School-Based Disorders | OFF KLTR! Previous posts in the OFF KLTR ADHD series include: ADD/ADHD (Series Introduction) and Is ADHD Really a Disorder? Now if you know me and my children, you may be asking yourself, why is she so up-in-arms about ADD and ADHD? Her kids won’t stray more than 10 feet from her side; ADHD isn’t an issue! Well…no, my girls wouldn’t be diagnosed with that particular disorder, BUT my big girl was diagnosed with (what I consider to be) the opposite of ADHD. Back when she went to school, my older daughter was diagnosed with something called Selective Mutism. Another “disorder” caused by school. ADD/ADHD and Selective Mutism are just a few examples of different ways that children try to cope with the intolerable stress of school. ADD/ADHD and Selective Mutism are actually opposite extremes. The stress of school causes children’s personalities to intensify, pushing them to these extremes. When she started preschool, my already shy girl got even quieter. She pulled further into herself, to the point that she stopped talking. Her reaction to school earned her a diagnosis of Selective Mutism. School had the opposite effect on my friend’s son. Her incredibly bright, super-verbal, high-energy kid got louder; he went further outside of himself and therefore has been diagnosed with ADHD. There is nothing wrong with either of these children. They are simply coping differently with school. Now up ’til this point in this series, I have been focusing on school as the problem. In addition to the stress of school, however, there is another HUGE piece of the stress equation: children have no downtime. Every minute of their day is scheduled. 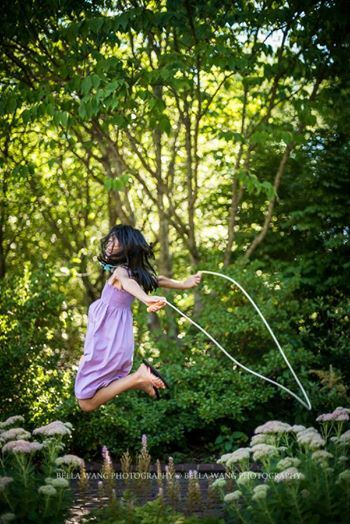 When we were kids, we got off the school bus, ran into the house to grab a snack, and then we did something magical: we went outside and played. Sigh. Now kids go to aftercare. Or they go to extracurricular activities where they have to listen to their coaches and art teachers and piano teachers. They follow instructions, follow adults’ rules. And after their extra lessons or extra time at school, they have to do lots of homework. So, after holding it together all day in school (with no real breaks), they have to hold it together all afternoon, through the evening. How is a kid with ADHD supposed to survive this kind of grueling schedule day in and day out? How is an introverted child, who needs time alone to recharge, ever going to tolerate this schedule? How is a ANY kid going to thrive in this world? The work of Kim John Payne introduced me to the idea that all children (and adults) are on a continuum. Some people are naturally louder and more energetic and outgoing. Some are quieter and more reserved. And stress pushes people’s behavior further towards the extreme to which they naturally lean. So when loud, outgoing children are incredibly stressed for a long period of time, they will swing towards the ADHD side of the pendulum. And when quiet, introverted children are incredibly stressed for a long period of time, they will swing towards the Selective Mutism (anxiety) side of the pendulum. Kim John Payne presents simplification as the antidote to the stress that is pushing children to these extreme behaviors. He has seen that when the lives of children diagnosed with ADHD are simplified, they move away from the ADHD extreme toward the middle of the spectrum, but remain energetic, outgoing kids. And when you simplify the lives of kids diagnosed with Selective Mutism, they become more engaged, but remain their true, quiet and shy selves. I still wasn’t ready to try homeschooling. It was just too out there. Too extreme. But, I did shorten her school week and simplify our home life. And it made a big difference. Ultimately, however, BOTH simplifying our home life AND homeschooling would be required to restore my child’s – our family’s – health and happiness. But, perhaps if your child isn’t as far to one extreme or the other (as my big girl was), maybe making some of the simplicity parenting changes will make enough of a difference in your child’s life, that you he or she will be able to better tolerate the stress of school? Just as anti-anxiety medication and speech/language therapy were not the solution to my child’s Selective Mutism, I don’t believe that Ritalin and behavioral modifications are the solution for ADHD. The cure for ADHD and Selective Mutism and all other disorders caused by school is not to medicate our children. For my family, the cure for our child’s extreme behavior was two fold: (1) Simplify! We scaled back our schedules, our toys, and our exposure to media. We slowed down our lives to make room for play. And it is through play that children can relax AND it is the way that they learn. It’s children’s work. (And sadly, we as a society have removed play – just what children need! – from their lives). Simplifying creates the time and space to restore play. And (2) we quit school. We removed the stress of school and as a result, my once overwhelmed child has blossomed into a calmer, happier human being, a voracious reader, and a self-motivated learner. It took me ’til my big girl was seven years old to quit school; I sent my very young daughter to two years of pre-school and two years of kindergarten. So I understand that quitting school, making a conscious choice to be different from your friends and neighbors and family feels really scary. I get it. But once you take that leap, once you listen to that calm and steady voice deep within you saying, “Enough! This isn’t working.”, you will forever change the course of your family’s history. My family’s preferred alternative to school is homeschooling, unschooling in particular. But there are many other alternatives to school, such as democratic schools and learning centers. And, if it feels like too much, too fast to withdraw your child from school, start with Kim John Payne’s Simplicity Parenting. Simplifying will make your family so much happier. It will bring you closer. And really, that’s what we all want, deep down inside. And for those families that aren’t ready to withdraw their child from school, I will blog about holistic alternatives to ADHD medication next week. « Is ADHD Really a Disorder? You are the best cheerleader in town, Kerry! Thank you.